–If no one can buy, then what? Based on current sales numbers this month we need to see a big sales day today to make September 2012 sales numbers come out ahead of September 2008. Makaya estimates that we need to see 101 or more sales today or we’ll be coming in lower than 2008. Keep an eye on the comments for daily numbers from Paulb to see what happens. It will be interesting to see how the newspapers and REBGV press release cover these sales numbers. On a side note our new comment rating system has been tweaked a bit. 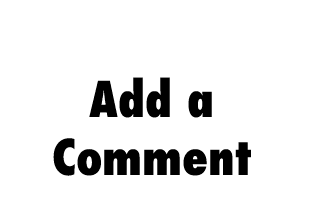 This site gets way too much traffic for the default settings to work, so we’ve upped comment highlighting to start at +10 and we’ve dropped comment hiding to -8 giving it a foreclosure stage before it disappears. If you see a negatively rated comment that you disagree with but is honestly presented (ie not a troll) please consider not voting it down further. It would be nice to reserve comment hiding for the real trolls. Feedback is welcome to these tweaks, we’ll adjust further if necessary. And on to the chat! So what are you seeing out there? Post your news links, thoughts and anecdotes here and have an excellent weekend! –Mommy, can I borrow the car? Apparently Vancouver has an affordable housing problem. For buyers housing affordability is at a new low despite our problems with construction quality. And lately we’re seeing more news stories about more families leaving BC due to the high cost of living. So are we building more affordable housing? Well, we’re trying I guess, but if you live in Vancouver you may have noticed a big vacant spot for homes just up Main street near Queen Elizabeth Park. Several years ago the housing units at Little Mountain were torn down to make way for a new higher density housing development. So why has nothing happened over those years? According to Michael Geller it’s developer inexperience. “The developer … doesn’t fully understand how to do business here,” Geller said in a phone interview. Four years ago, BC Housing started moving the 224 residents of a social housing project into other subsidized homes. Now, only four residents remain in one building on the 6.2-hectare site by Queen Elizabeth Park and bounded by 37th and 33rd avenues and Main Street. In June, a city report said there was a blueprint for Holborn Properties to redevelop the site with as many as 1,800 units in stepped towers up to 12 storeys, most buildings being four to 10 storeys in height. The province has committed to replacing all 224 social housing units plus another 10 for aboriginal residents. Most of the buildings at Little Mountain were demolished in 2009. Geller also referred to the years of delays Holborn has faced in building a proposed 64-storey hotel and residential tower at West Georgia and Thurlow. “If one wonders why this one is taking so long, one might also wonder why the same developer’s project on West Georgia took so long — although I see construction is finally underway,” he said. So apparently we sold that land to a developer that doesn’t know how to get things done and to make matters worse, they bought it for an undisclosed sum right before the mini market crash of 2008. If prices keep falling as they are now is anything going to get built there? And if it does get built how much responsibility will the city end up taking for falling profit margins or ‘developer inexperience’? Are we looking at the potential for another Olympic Village scenario? Vancouver, being part of the west coast, is equally criticized and applauded for its youth. Civilization as we know it barely spans two centuries in this corner of the world, and while that can generate a sense of dawning opportunity and exuberance, it also means that we sometimes lack the refinement, conscience, and depth of a European city. –‘Vancouver condo crisis’ to hit Calgary? –Only see a bubble in retrospect? –Rates stay low, good or bad?